London Warehouse Events Presents 2020Vision – The global community for audio culture. London Warehouse Events, Mixcloud, 2020Vision and Shoreditch can only mean one thing – endless fun. For those that are local – London Warehouse Events need no introduction – their parties are famous around the city and have been known to cause absolute carnage in the best possible way. 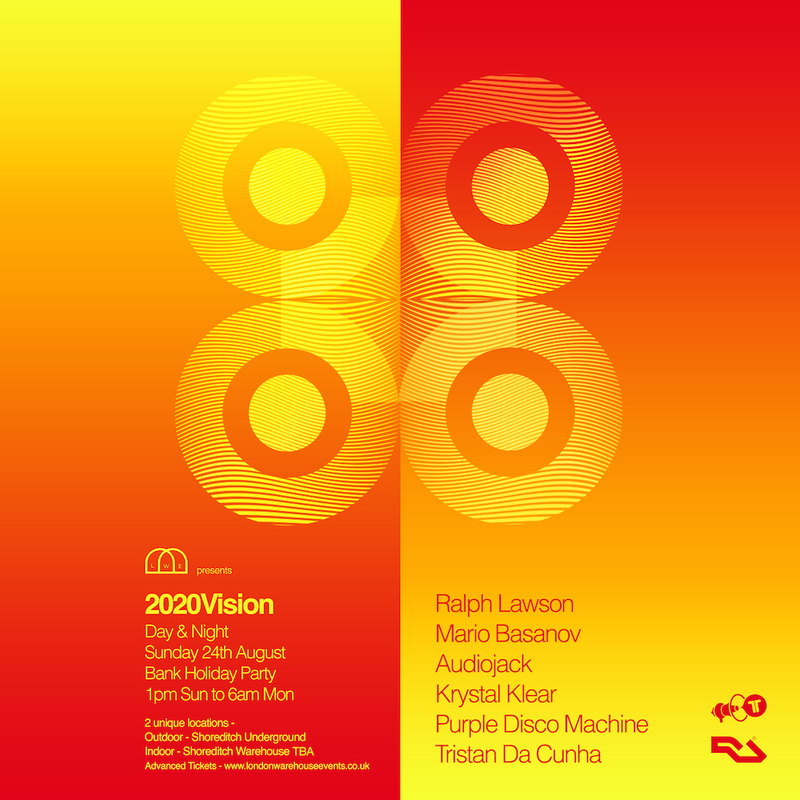 On the 24th August they present an all day / all night party with 2020Vision. Label home to the likes of Ralph Lawson, Mario Basanov (aka Ten Walls), Leeds-duo Audiojack and Purple Disco Machine. Tickets are flying out for this event and with such a strong lineup, expect these to be gone sooner rather than later. For more information about the event click HERE. To buy tickets – click HERE.